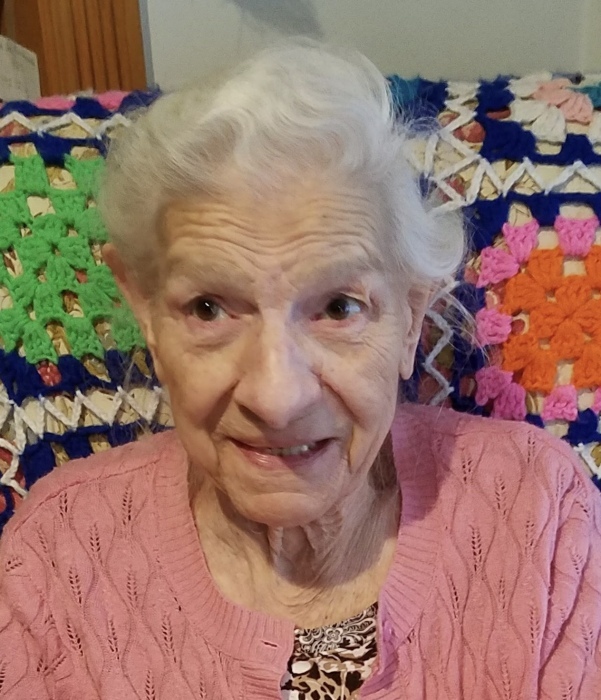 Theresa Deemer, 99, passed away Tuesday in the comfort of her home and in the care of loving family. She would have been 100 on April 18th. Born in Mt. Pleasant, PA, Theresa lived most of her life in Central NY. She retired from VanDuyn in 1985 after 27 years as nurse’s aide. She was a communicant of St. Patrick’s Church, Jordan. A country girl at heart, Theresa loved gardening and the outdoors. She was predeceased by her husband Philip in 1976 and two daughters Mary Wright in 1980 and Anna Spicer in 2016. Surviving are 3 daughters Pat (Ken) Conway of Red Creek, Charmaine Deemer of Memphis, and Roseann MacDougall of Mich., a son Joseph (Michelle) Deemer of Memphis, 2 brothers Joseph Grossi and Ramon Grossi, a sister Marie Beran, 13 grandchildren, 14 great grandchildren, 19 great great grandchildren. A Mass of Christian Burial will be celebrated 10am Monday, March 25th in St. Patrick’s Church, Jordan. The Rite of Committal and Burial will be in Greenlawn Memorial Park. Calling hours will be 2-4pm Sunday at the Bush Funeral Home, 120 E. Main St. (Rt. 5) Elbridge. Contributions may be made to St. Patrick’s Church or Hospice of CNY.